Business card creation is an in-demand service today, so why not add it to your activities? A convenient app named Business Card Maker enables you to make premium quality business cards in a few minutes. The program is specially designed for photo labs that may have a large number of customers, so there are certain features to save your time. For instance, an integrated database stores all your clients' contact details. When you create a new business card, you just select a certain company or person, and their contact data are added to the card automatically. 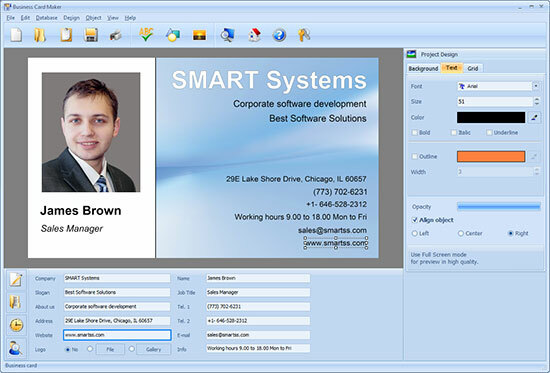 This lets you make hundreds of business cards for corporate clients in no time. The card templates collection helps you create business cards for companies, employees, or entrepreneurs. There are themed templates for various business areas and industries. The app offers many possibilities for creative design. You can add photos and other images to the layout, or set any image of your own as background. 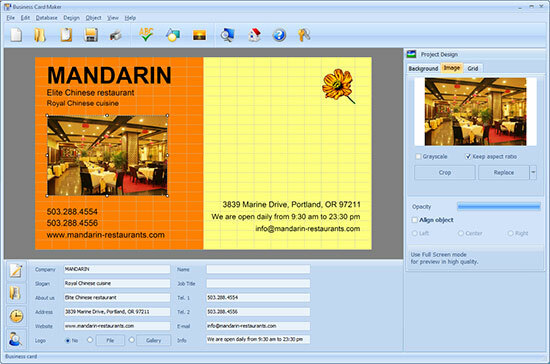 Business Card Maker ensures excellent print quality at 600 dpi. The smart print module fits the given number of cards on the paper in an economical way, which lets you save on cardstock and print supplies.